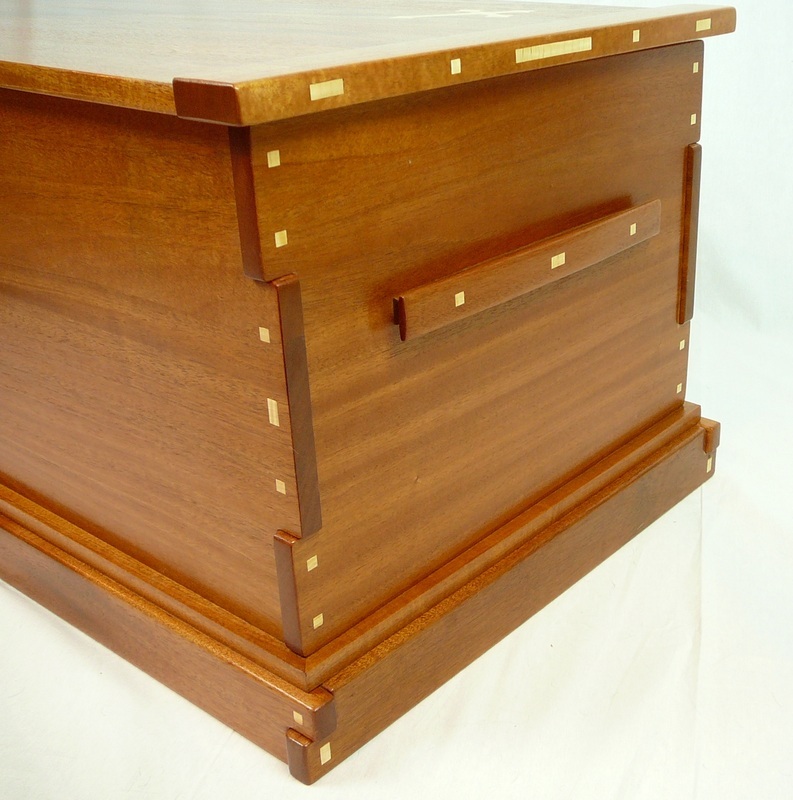 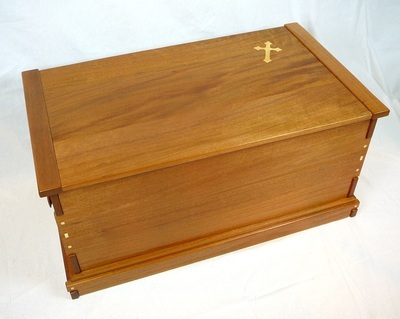 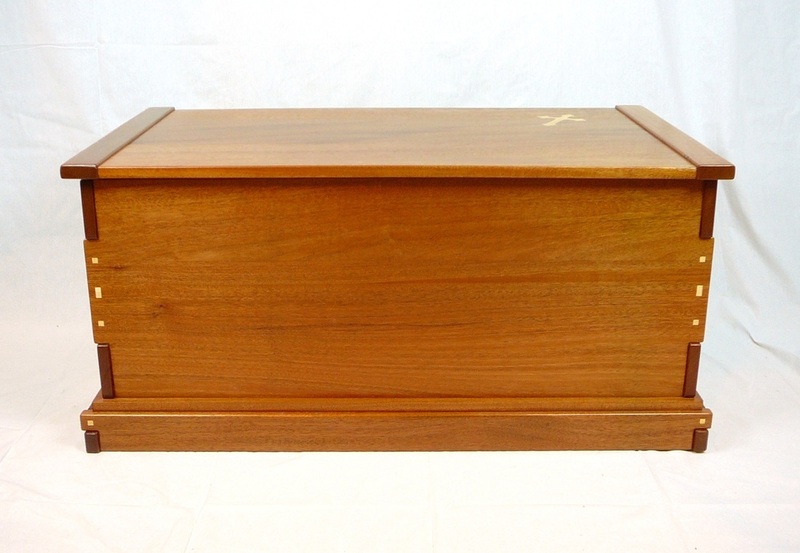 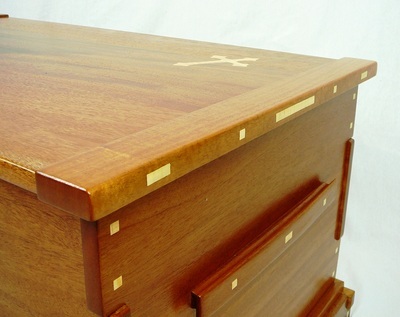 The blanket chest is made from solid mahogany and accented in maple. 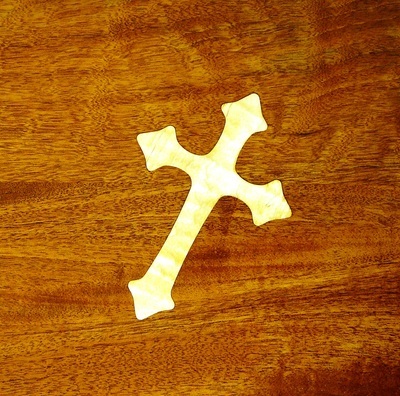 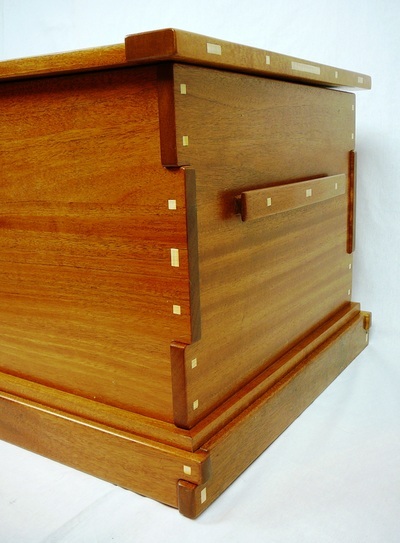 The bottom of the chest is made from birch plywood to avoid wood movement issues. 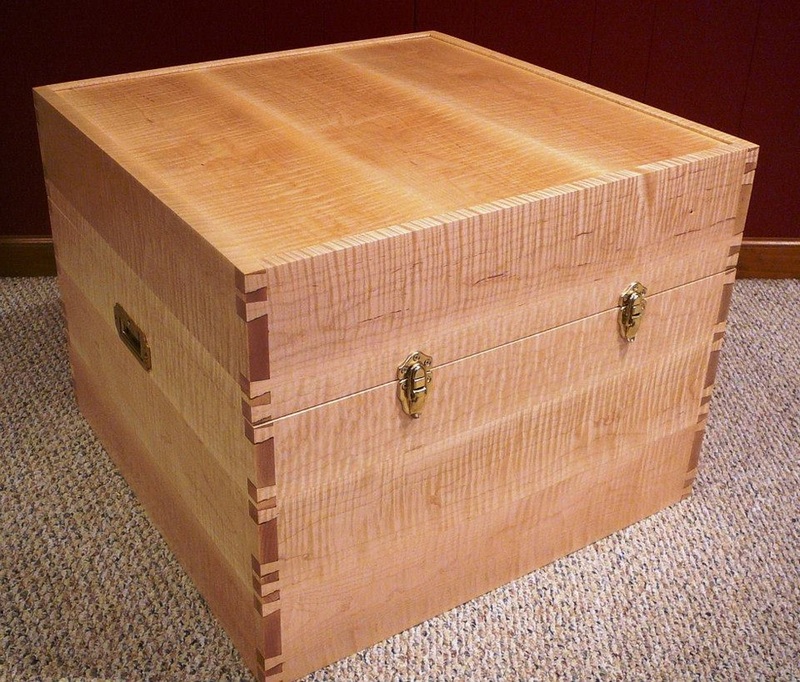 The case is about 44" x 24" and a little over 20" tall. 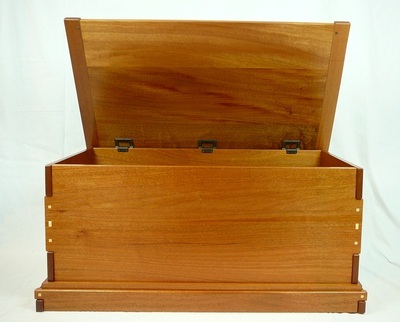 The internal storage dimensions are about 40" x 20" and 15" tall. 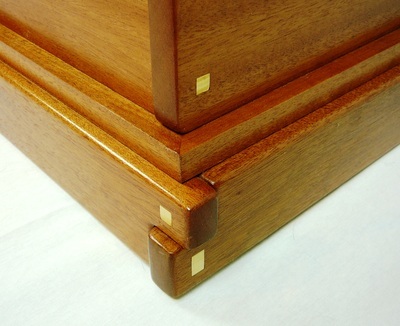 The case and base feature protruding finger joints with multiple layers that build up from the bottom to the top. 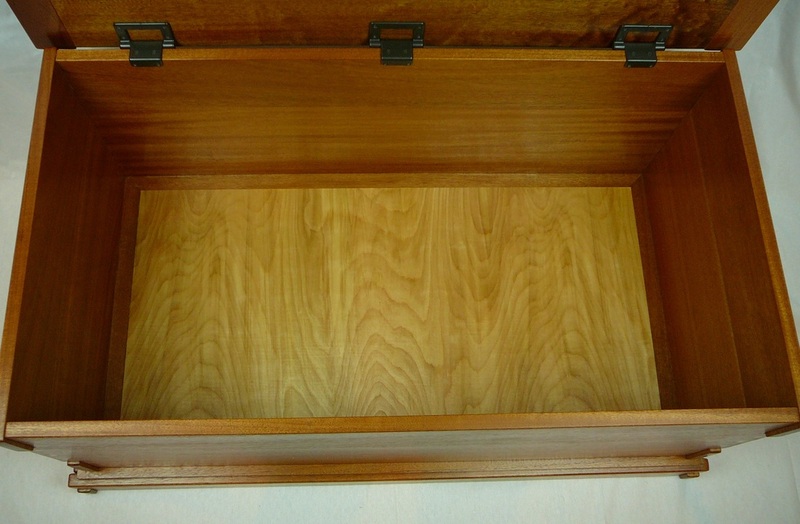 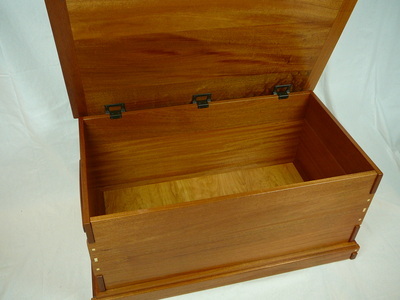 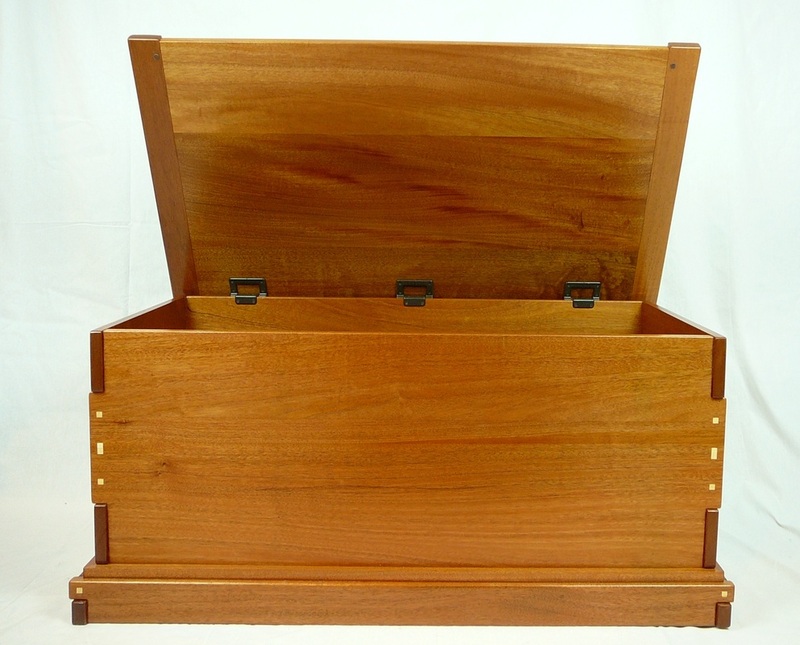 The lid has breadboard ends that are slightly taller and longer then the lid providing additional depth and layers. The lid is attached with torsion hinges that keep the lid from slamming shut. The handles hand curved shaped from solid wood. Curly Maple truck with dovetail joinery.